Wait. I know you want to close the page already because it is another article about Fernando Torres and we all know the internet is now 99% El Nino articles and the other 1% is articles about Lindsay Lohan’s latest arrest. When searching through the plethora of articles on the Chelsea striker from newspapers to blog posts the usual conclusions were being drawn; being played out of position, formation doesn’t suit the Spaniard and lacking in confidence. Probably all valid and, to a certain extent, truthful statements however after nearly twelve months on from the £50 million move surely a player of Torres’ reputation could have rediscovered his form? At what point does a player stop being in a bad run of form and just become a poor signing? 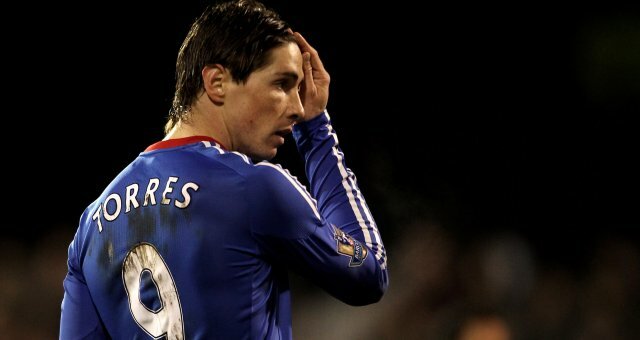 Today AVB came out and said that Torres isn’t for sale after rumours suggested that the striker could be available for the knock down price of £20 million but surely saving face and sticking with the 27 year old will continue to add to the media circus that surrounds Stamford Bridge. The former Porto boss also went on to say that he would wait another year for Torres to recapture his form, waiting 24 months for a player who three seasons ago could have walked into the Barcelona side shows how far El Nino has fallen. Despite all these positive comments from AVB the former Porto manager hasn’t started Torres since the club’s 1-1 draw with Genk in the Champions League on 1st November. These comments lack substance and perhaps AVB now accepts Torres is a lost cause, I mean Carlo Ancelotti also failed in getting the best out of the Chelsea man so there must be a point where you have to start blaming the player.